The dusty side of the Sword of Orion is illuminated in this striking infrared image from ESAs Hershel Space Observatory. Within the inset image, the emission from ionized carbon atoms (C+) is overlaid in yellow. 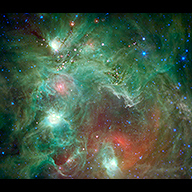 Scores of baby stars shrouded by dust are revealed in this infrared image of the star-forming region NGC 2174, as seen by NASAs Spitzer Space Telescope. Some of the clouds in the region resemble the face of a monkey in visible-light images, hence the nebula's nickname: the "Monkey Head." Astronomers studying the supermassive black hole at the centre of the galaxy IRAS F11119+3257 have found proof that the winds blowing from the black hole are sweeping away the host galaxys reservoir of raw star-building material. This artists impression shows the outflow of molecular gas (red) in a galaxy hosting a supermassive black hole at its core. Astronomers studying the supermassive black hole at the centre of the galaxy IRAS F11119+3257 have found proof that the winds blowing from the black hole are sweeping away the host galaxys reservoir of raw star-building material. 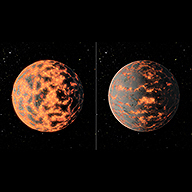 This artists impression shows the connection between these two phenomena. This composite image depicts infrared emission from a 2 arcminute by 2 arcminute region centred on the galaxy cluster XDCPJ0044.0-2033. At this time of year, holiday parties often include festive lights. When galaxies get together, they also may be surrounded by a spectacular light show. A new feature in the evolution of galaxies has been captured in this image of galactic interactions. Artist's impression of a firestorm of star birth deep inside core of young, growing elliptical galaxy. An illustration of the wind blown by a newborn star. 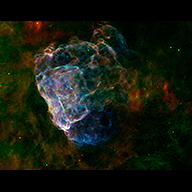 When the energetic particles hit the surrounding material, they may collide with atoms that are present in the star's environment, break them apart and produce new elements. The Herschel Space Observatory has uncovered a weird ring of dusty material while obtaining one of the sharpest scans to date of a huge cloud of gas and dust, called NGC 7538. The gigantic ring structure is situated at the center-top of this image. The odd ovoid possesses the mass of 500 suns, with its long axis spanning about 35 light-years and its short axis about 25 light-years. A cosmic mystery regarding oxygen has deepened, thanks to new findings from the Herschel Space Observatory, a European Space Agency mission with important NASA contributions. A doubled peaked emission line from ionized carbon at 158 micrometres indicates that this galaxy is rotating with little turbulence. 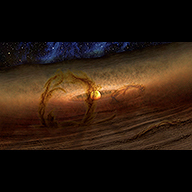 Magnetic loops carry gas and dust above disks of planet-forming material circling stars, as shown in this artist's conception. This graph shows a spectrum of the giant elliptical galaxy NGC 5044 taken with ESA's Herschel Space Observatory at far-infrared wavelengths. This image shows a composite view of the giant elliptical galaxy NGC 5044. This graphic shows the evolutionary sequence in the growth of massive elliptical galaxies over 13 billion years, as gleaned from space-based and ground-based telescopic observations. This graph shows variability in the intensity of the water absorption signal detected at Ceres by the Herschel space observatory on March 6, 2013. This image shows a composite view of the Crab nebula, an iconic supernova remnant in our Milky Way galaxy, as viewed by the Herschel Space Observatory and the Hubble Space Telescope. This artist's impression shows how photons from the early universe are deflected by the gravitational lensing effect of massive cosmic structures as they travel across the universe. This artist's concept illustrates the frenzied activity at the core of our Milky Way galaxy. This map shows the distribution of water in the stratosphere of Jupiter as measured with the Herschel space observatory. 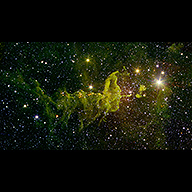 Stunning new view from ESAs Herschel space observatory of the iconic Horsehead Nebula in the context of its surroundings. The dusty side of the Sword of Orion is illuminated in this striking infrared image from ESAs Hershel Space Observatory. New images of huge filamentary structures of gas and dust from the Herschel space observatory reveal how matter is distributed across our Milky Way galaxy. Long and flimsy threads emerge from a twisted mix of material, taking on complex shapes. 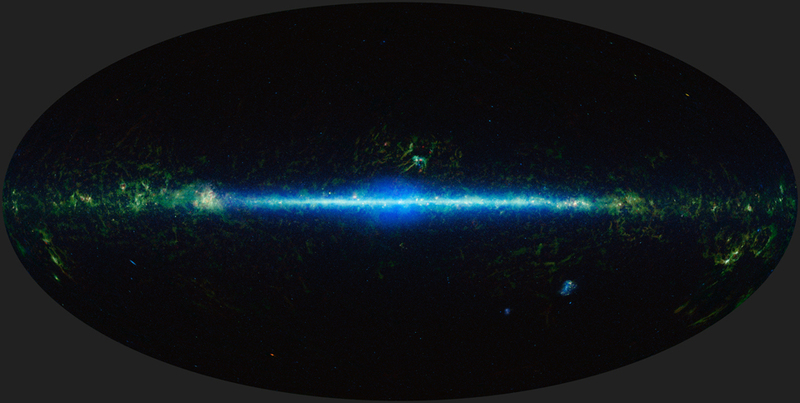 This map of the entire sky was captured by the European Space Agency's Planck mission. The band running through the middle corresponds to dust in our Milky Way galaxy. Some supermassive black holes at the centre of galaxies are devouring the surrounding material. They also divert part of it away through powerful winds and jets. This artist's impression shows how the black hole accretes the surrounding matter through a disc (orange). 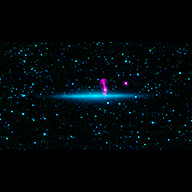 Part of the accreted material is pushed away in a wind (blue), which in turn powers a large-scale galactic outflow of molecular gas (red). 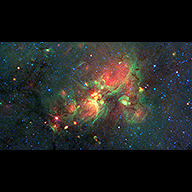 Volunteers using the web-based Milky Way Project brought star-forming features nicknamed "yellowballs" to the attention of researchers, who later showed that they are a phase of massive star formation. Infrared data from the Herschel Space Observatory has revealed where interstellar dust in the clusters core is being heated by young, hot, stars. This is the first time that star formation has been found in the core of a cluster of this size and age. 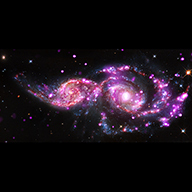 A small galaxy, called Sextans A, is shown here in a multi-wavelength mosaic captured by the European Space Agency's Herschel mission, in which NASA is a partner, along with NASA's Galaxy Evolution Explorer and the National Radio Astronomy Observatory's Jansky Very Large Array observatory near Socorro, New Mexico. Orion A, a star-forming nebula lying about 1500 light-years from Earth, as viewed by ESAs Herschel space observatory. 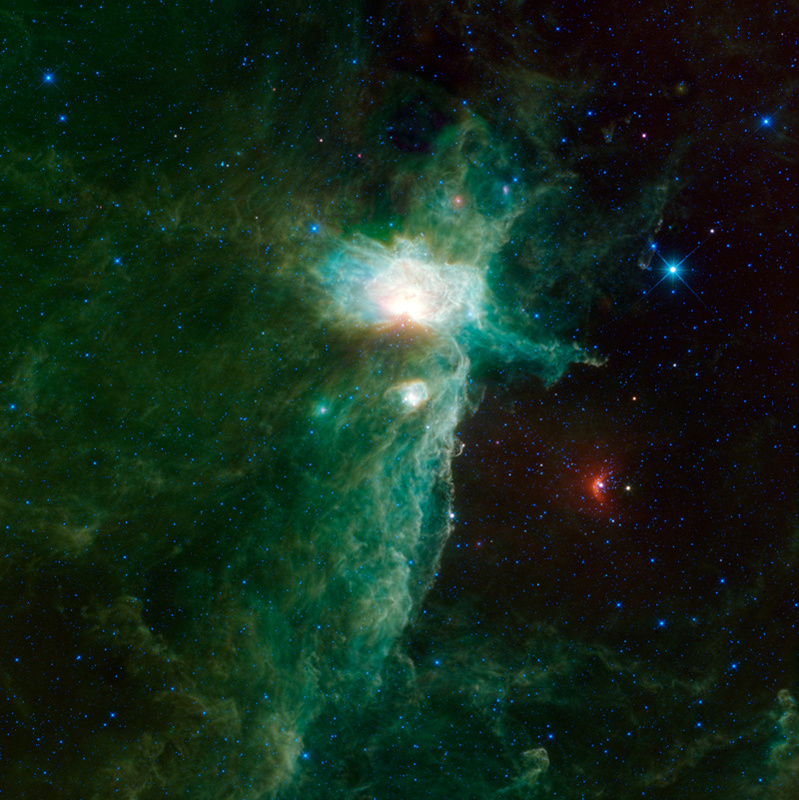 Orion A is located within the sword of Orion below the three main stars that form the belt of the Orion constellation. SAs Herschel space observatory has observed 132 of the known 1400 cold worlds that inhabit a region of the Solar System beyond the orbit of Neptune, some 4.57.5 billion km from the Sun. The distorted view of S0901 is caused by gravitational lensing, resulting from one or more galaxies that lie between the observer and S0901. Collage of galaxies in the Herschel Reference Survey at infrared/submillimetre wavelengths by Herschel and at visible wavelengths from the Sloan Digital Sky Survey. This graph shows a spectrum of the giant elliptical galaxy NGC 1399 taken with ESA's Herschel Space Observatory at far-infrared wavelengths. This image shows a composite view of the giant elliptical galaxy NGC 1399. 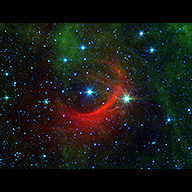 The antics of a speeding star are on display in a new image from NASA's Spitzer Space Telescope. Dwarf planet Ceres is located in the main asteroid belt, between the orbits of Mars and Jupiter, as illustrated in this artist's conception. The large white and yellow dots in this picture are stars in our galaxy, while the rest of the smaller dots are distant galaxies. The cluster, comprised of red dots near the center, includes more than 100 massive galaxies. 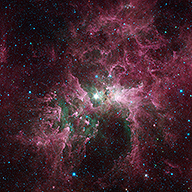 Massive stars can wreak havoc on their surroundings, as can be seen in this new view of the Carina nebula from NASAs Spitzer Space Telescope. Several telescopes have teamed up to discover a rare and massive merging of two galaxies that took place when the universe was just 3 billion years old. This is a composite photo, assembled from separate images of Jupiter and comet Shoemaker-Levy 9, as imaged by the NASA/ESA Hubble Space Telescope in 1994. This artist's impression shows the "starburst" galaxy HFLS3. The galaxy appears as little more than a faint, red smudge in images from the Herschel space observatory.